How do I know what outlet I need? 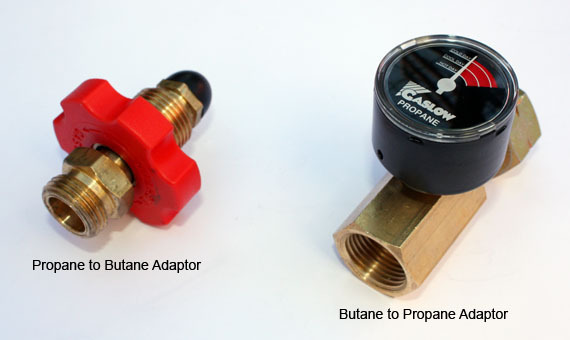 It's quite easy to establish what outlet you need on the bottle (either Butane or Propane). 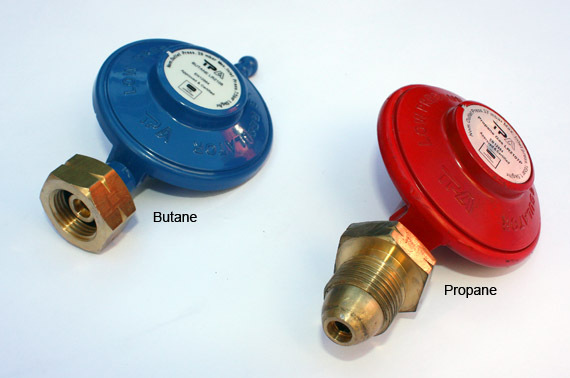 At present you will have a regulator or hose that connects to your exchange bottle. If you look at the image below you may instantly notice the type of regualtor that you have and therefore the type of outlet you need on a refillable bottle. If your regulator or connection does not look like either of the above ones then it will be necessary for you to change the connection/regulator. To know what regulator to change to you will simply need to know what final pressure you require. This will be stated on your present regulator at either 28 or 37 mbar.